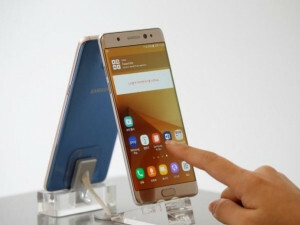 Devices have until now been allowed in cabins, with the recent exception of the recalled Note 7. New rules banning many electronic items from passenger cabins on US-bound flights will force a rethink on fire safety concerns in consigning them to the hold, and some experts question whether the limited ban can improve passenger security. The regulations shed light on a juggling act between airline safety, where authorities worry about technical risks such as lithium-powered goods catching fire in the hold, and security measures against damage or loss of life by deliberate attacks. The rules, announced on Tuesday, cover carry-on electronic devices on planes flying from 10 airports in eight Muslim-majority nations in the Middle East and North Africa. The Trump administration said passengers travelling from those airports could not bring devices larger than a cellphone, such as tablets, portable DVD players, laptops and cameras, into the main cabin. Instead, they must be in checked baggage. Matthew Finn, MD of security consultancy Augmentiq, said placing such devices in the hold, rather than in the cabin, made little sense. That's because improvised explosive devices could be triggered via a variety of mechanisms, including a small mobile phone that would still be in the cabin. "I imagine there must be some reliable intelligence that gives credibility to the threat; I just can't see how this particular measure will make anything or anyone safer as a result," he said. Bruce Schneier, security technologist and lecturer at the Kennedy School of Government at Harvard University, disagreed. "Forcing it in the plane's hold would make it much harder to detonate, since the terrorist has to design an automatic mechanism rather than doing it manually," he said. The regulations will require an abrupt change of thinking at airlines which have been focused until now on the threat of fire from batteries contained inside many of the electronic items. In 2016, the United Nations' aviation arm, the International Civil Aviation Organisation, prohibited shipments of lithium-ion batteries as cargo on passenger planes. Laptops do undergo special checks at airport security, but personal devices have until now been allowed in cabins - with the recent exception of the recalled Samsung Galaxy Note 7. Portable computers have, however, been under increased scrutiny since a suspected suicide bomber blew a hole in the fuselage of an Airbus A321 flown by Daallo Airlines and forced it to make an emergency landing in Mogadishu in February 2016. The bomber was sucked out of the plane through the 1m-wide hole, which reports said may have been caused by a device contained inside a laptop computer handed to the passenger only after he had cleared airport scanners. US officials say militant groups such as Yemen-based Al Qaeda in the Arabian Peninsula are known for innovative bomb designs, including burying them inside computers. Some questioned the scope of the ban. "A partial ban targeting only few airlines in some countries will not protect passengers from a terrorist threat," said Ruben Morales, head of corporate safety at Hong Kong Airlines. "Nowadays airlines are highly connected through alliances and codeshare agreements...Nothing prevents passengers from bringing their electronic devices on board non-direct flights to the US from countries outside of the ban." Senior aviation industry officials expressed confusion about the ban, but disruption was minimal compared to the announcement of a temporary ban on travellers from seven Muslim-majority countries in January; a move later overturned and revised. "The issue of the batteries which are desired to be kept in the cabin: I'm not quite sure how they intend to deal with that," said Angela Gittens, director general of Airports Council International, which represents global airports. The International Air Transport Association said it was working with airline members and the Trump administration to better understand the new requirements. It urged passengers flying to the US from the named airports to give themselves extra time. At least one airline meanwhile sought to reassure passengers deprived of their personal gadgets for flights up to 16 hours. "Who needs laptops anyway? Let us entertain you," Emirates tweeted, in an effort to promote its in-flight entertainment system.